Another way of arriving to the lovely city of Amsterdam is by train. It is a first-rate entrance to the city. The Amsterdam Central Station also has train connections to Amsterdam Airport Schiphol and major cities in Belgium, France and Germany, as well as a large number of cities and towns within the Netherlands. It is also the starting point for the excellent public transport system, as underground trains (metro lines), trams and buses can be found here. And even other forms of transport, such as taxis, bicycles and ferry boats (to the north of Amsterdam). Furthermore there are services in and around the station serving the traveler well. 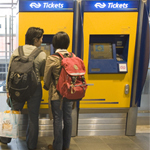 There are numerous vending machines where the traveler can buy tickets to destinations in the Netherlands. And there is a Service Centre where you can buy international train tickets. For questions, you can always go to one of the information desks in the main tunnel. The Amsterdam Central Station also provides luggage lockers to store bags for a maximum of 72 hours. There are several shops at the station as well where you can buy food, books, cosmetics and so on. 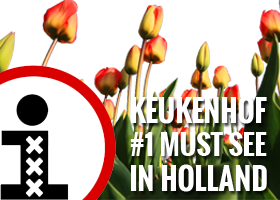 For planning your trip by train you can visit the website of the Dutch Railway Company. At the main entrance / ‘city-site’ is where are all public transport is situated, apart from the ferries going up north and the new bus station. These are situated at the waterfront of the river IJ. This site of the station is also the only place to reach by car. But there are no parking places here. In front of the Amsterdam Central Station is the main Amsterdam Tourist office located (in a white wooden house). Here you can also find all the information about the GVB (public transport) and buy the public transport tickets to get around the city. Hello, I would like to know if I can go by train to Zaanse Schans and Volendam and if I can see wind mills.